Not just a home... Your home. Living in Minnesota, we’re accustomed to changing humidity levels in our homes. In the winter, we experience dry air - which can effect how we feel (dry throats, itchy skin, etc. ), but can also have effects on our homes. It’s important to maintain the proper humidity levels in your home to keep them comfortable & to take care of products used to build them. Indoor humidity levels should be between 30-40% - keep in mind, as the temperature gets lower, the lower the humidity level should be in the home. To measure the humidity levels in your home, you can purchase a hygrometer. This is an inexpensive gauge that looks like a thermometer. Once you have a better idea of how humid your spaces are, you can take the steps necessary to make it more ideal. 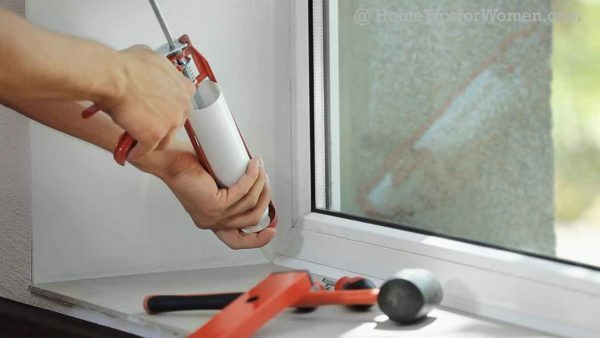 Low humidity means your home will be dry. 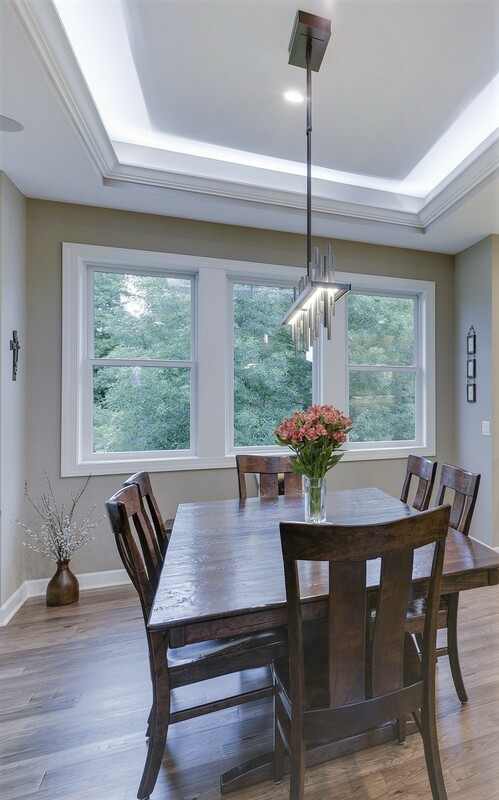 Without the proper moisture your home may experience drywall cracks, hardwood floor seams splitting (shrinking), wood cracking, millwork shrinking or cracking. Low humidity is common in Minnesota because of our colder temperatures. This can be solved by increasing humidity in your home by using a humidifier. These must be kept clean, changing the filters regularly according the the manufacturer’s instructions. Make sure you purchase a humidifier that will cover the necessary square feet for your area (so that you’re not constantly refilling water). High humidity can also cause damage to your home, and it’s a breeding ground for mold, rot, and insects. A lot of homeowners may fall victim to high levels because homes are built more efficiently to prevent energy loss from heating & cooling. Which means they seal in a lot of moisture. If humidity is too high, you can purchase a dehumidifier. This pulls moisture out of the air, and you’ll need to empty the water from it regularly. When building with Zehnder Homes we always suggest adding a humidifier to your furnace to help control the humidity levels in your home automatically. While you’ll still want to keep an eye on it, this should greatly decrease the amount of effort put in to controlling the levels in your home. 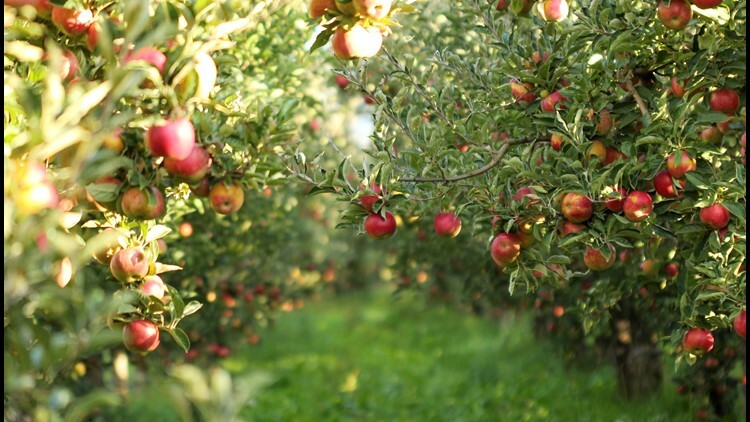 Apple Orchards are full of fun fall activities for all ages! No matter where you live in the twin cities or suburbs, there is an apple orchard close to you. Not only do they have sweet, delicious, fresh treats for you to sample, pick, or buy, but most have a variety of fun activities for everyone in the family to do too! A few of the activities we enjoy are the corn pit, petting zoo, corn mazes, kid rides, apple cannons, and of course the apples! So if your looking for a fun fall activity to do with the family you should check out some of Zehnder Home’s favorite apple orchards listed below. What is your favorite apple orchard in the Twin Cities area? Summer is wrapping up, and we've begun ordering PSLs (pumpkin spice lattes) and taking our cinnamon flavored candles out from storage. But, while some of us may be a little excited to slip into the cozy clothes, watch football, and eat chili, we can't forget about taking care of business - your home. It's important to prepare your home for the upcoming season - inside & out. Here is a list of items you should be taking care of during Fall to help your home get through our (sometimes) frigid Minnesota winters. - Store any lawnmowers, weed-whips, etc. and prepare your snowblower (test to make sure it works), shovels, etc. for the coming winter. - General Cleaning: now is the time to deep clean every room. Get rid of old newspapers and magazines, leftover household chemicals, clear spaces around heaters, furnaces, and other heat producing appliances. - Store spring/summer outerwear & get coats, boots, and gloves ready. Once you've prepared your home for the coming winter, sit back with a warm cup of apple cider (or PSL) under a cozy blanket, and RELAX. Enjoy this magical season with your loved ones! A screened in porch is a hot commodity in Minnesota! Where are Winters are long, our Summers are short, and our Spring & Fall are a melting pot of weather. Our summers in Minnesota are immensely enjoyed, and well deserved. Exterior entertaining spaces are a great way to add value to your home & make for a cozy additional living area. Here are some helpful tips on decorating these unique spaces! Add Accessories - Planters, throw pillows, lamps, end tables, rugs, and flowers are all easy ways to add color and make your space more at home. Weather Friendly Finishes - Make sure the furniture you put on your patio can hold up against the elements. Make it Cozy - Using an area rug and throw pillows can really warm up your screen porch. Add Lighting - Lamps or out door string lights will let you be able to enjoy your screen porch well into the evening hours. Mix & Match Planters - Using different planters for your flowers and plants will give it a complete look. 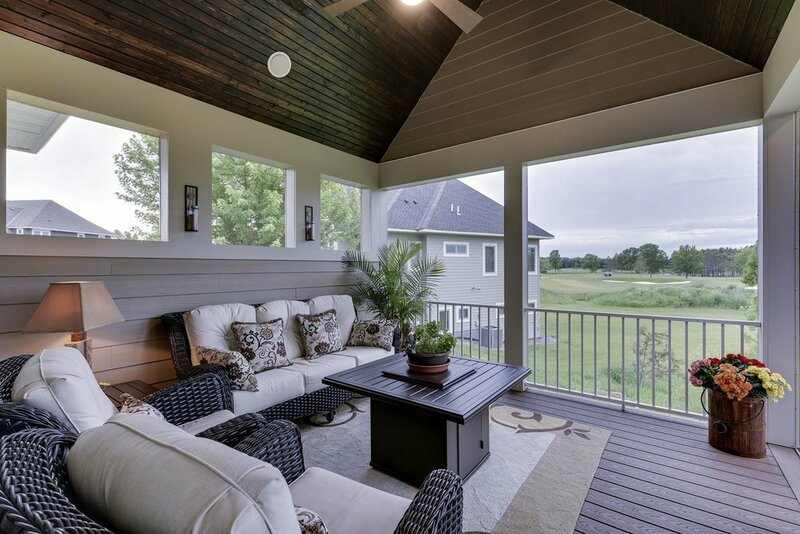 What is your favorite thing about your screen porch? 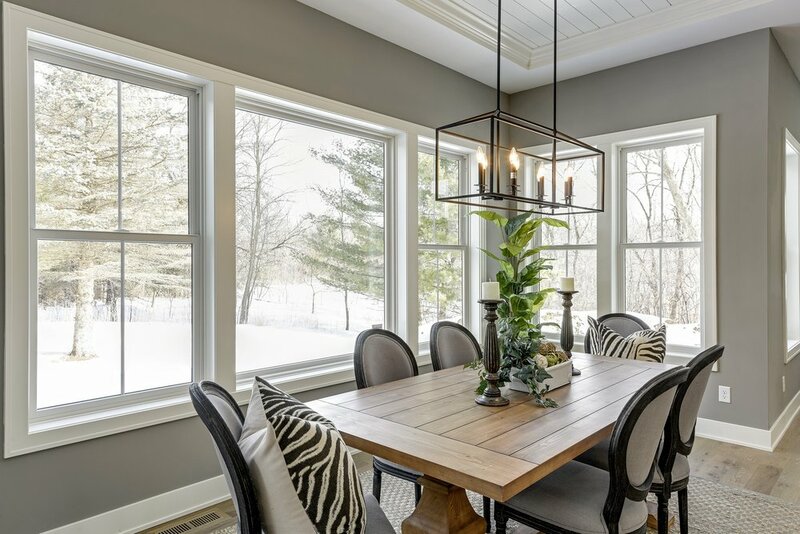 Spring is in the air and if you are looking for a few ways to add a little spring to your household, here are a few ideas with flowers and greenery. One of the easiest ways to brighten up a room for spring, is to add flowers! If you choose real flowers you will also get to enjoy the smell of spring. Flowers are easy accents pieces to put on almost any surface in a room. If the room could use more color, then go with a colorful variety of flowers. In a more colorful room you could use neutral tones, like white or one solid color flower. A colorful centerpiece in the middle of a large space can really brighten up the whole area. White floral arrangements go well with a soft colored room. A simple center piece on the dining room table, along with accent flowers in the corner of the room. The white arrangement of flowers go well with the blue accent pieces in this dining room. Greenery and flowers often go very well together, especially in larger spaces. Greenery is one of my favorite ways to add a little more life to a room. Adding greenery to your home can be made simple and you do not need to worry about matching patterns or colors. Here are a few ideas for placement of greenery that are all different shapes and sizes. Where are your favorite areas to display flowers or greenery in your home? We are constantly working to raise the bar on our product & service. If you have any questions or comments about your experience, please let us know.